Venetoclax monotherapy is active and has a tolerable safety profile in patients with relapsed or refractory chronic lymphocytic leukemia. The presence of 17p deletion confers a very poor prognosis when patients with CLL are treated with standard chemoimmunotherapy. 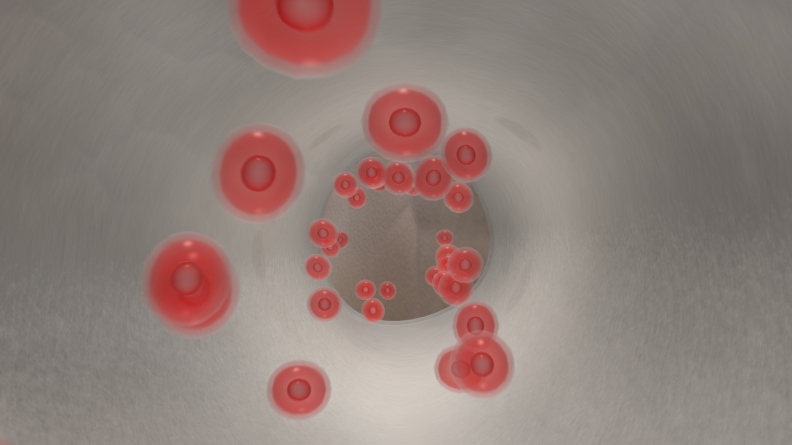 Because previous research demonstrated an overall response rate of 77% with venetoclax in patients with relapsed or refractory CLL, investigators sought to evaluate the activity and safety of single-agent venetoclax in patients with relapsed or refractory del(17)p CLL. For the international, single-arm, phase 2 study, researchers enrolled 107 patients who had received at least 1 prior therapy. Deletion of chromosome 17p was confirmed in peripheral blood specimens from patients using Vysis CLL FISH Probe Kit. All participants initiated venetoclax orally daily at a dose of 20 mg with a weekly dose ramp-up schedule to 400 mg over 4 to 5 weeks. Patients then received venetoclax 400 mg daily continuously until disease progression or unacceptable toxicity. Results showed that at a median follow-up of 12.1 months, the overall response rate was 79.4% (95% CI, 70.5-86.6). In terms of safety, the most common grade 3 to 4 adverse events were neutropenia (40%), infection (20%), anemia (18%), and thrombocytopenia (15%). The most frequently reported serious adverse events were pyrexia (7%), autoimmune hemolytic anemia (7%), pneumonia (6%), and febrile neutropenia (5%). Of note, no patients died due to a treatment-related adverse event. Ultimately, the findings support the use of venetoclax as a new therapeutic option for this very poor prognosis population. Further, future trials should investigate the use of venetoclax in combination with other novel targeted agents to advance the treatment of del(17p) CLL. Stilgenbauer S, Eichhorst B, Schetelig J, et al. Venetoclax in relapsed or refractory chronic lymphocytic leukaemia with 17p deletion: a multicentre, open-label, phase 2 study [published online ahead of print May 10, 2016]. Lancet Oncol. doi: 10.1016/S1470-2045(16)30019-5.